Email is the biggest distraction in the workplace. There has never been a productivity tool that has been more used and yet used badly, than email. Register below to see how our Email Management Course can help you use email more effectively. Get on top of your emails, and get the deep work done with this new technique for managing emails. 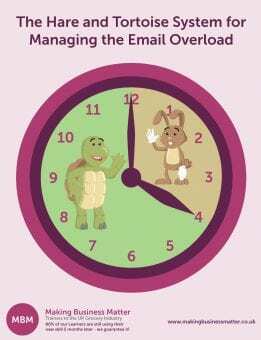 Read our blog ‘The Hare & The Tortoise System for Email Overload’ and listen to our podcast on email writing.